Their work will be exhibited at the Digital Media Arts Showcase on June 1. 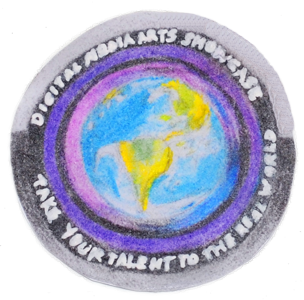 This free evening event at the Digital Gym is where all work will be on display. Each entrant will receive a professional’s assessment of their work. This includes an appraisal of the entry’s strengths, and suggestions for continued development. 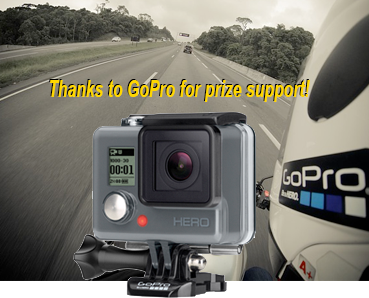 GoPro 3+ Silver and GoPro Hero cameras, thanks to help of the GoPro company. GoPro is about an active and fun lifestyle, and is expecting to see the work you create with this extraordinary tool. ProSonus AudioBox Music Creation Suite, with USB interface, a Studio One condenser microphone, a pair of headphones and Studio One software, as well as a full version of notation software and a 49-key USB MIDI controller. Everything you need to write, record, mix, reproduce and notate your music. Hubsan X4 H107C Quadcopter, with a 4-channel transmitter and integrated 720×240 video camera writing to MicroSD/MicroSDHC memory card. This is a palm-sized RC helicopter, with LCD info screen with multiple stick configurations, and 6-axis gimbal with adjustable gyro sensitivity. The Academy of Art University, based in San Francisco and a pioneer of interactive online instruction, is offering a Pre-College Summer Program scholarship as one of this year’s top awards. This consists of 4 Online Pre-College Art Classes to be selected by the recipient from the Academy’s Summer 2015 Online Class offerings. The scholarship includes processing and course-related fees, for a total value of over $525. Class details can be explored here. Director’s Edge, a specialty consulting and training program for filmmakers, will provide one-on-one consulting to a top video entry. The consultation will be customized to the interests of the winner, from developing a specific project to a more structured training program. Read more about D’Edge here. Platt College summer classes focus on video, graphic design, 3D animation, interactive design, or photography. More info to come. More is here. Digital Gym has summer classes in video and other digital media arts. More info is here. LEARN specializes in website programming, and is offering half-day consulting sessions to up to four different winners. Each session will be one-on-one, and customized to the skills and interest of the student. More info is here. If your student takes home Best-of-Show, or if your students collectively win the Highlight Program prize (number of entrants X average judges’ score), you will be presented a GoPro camera plus a day at Comic-con. More importantly, DiMA will produce a short video highlighting your program and your students, and post it online as a Model Program in Digital Media Arts. Meantime, use the Contact form for any questions you may have.